Here’s a question for you. 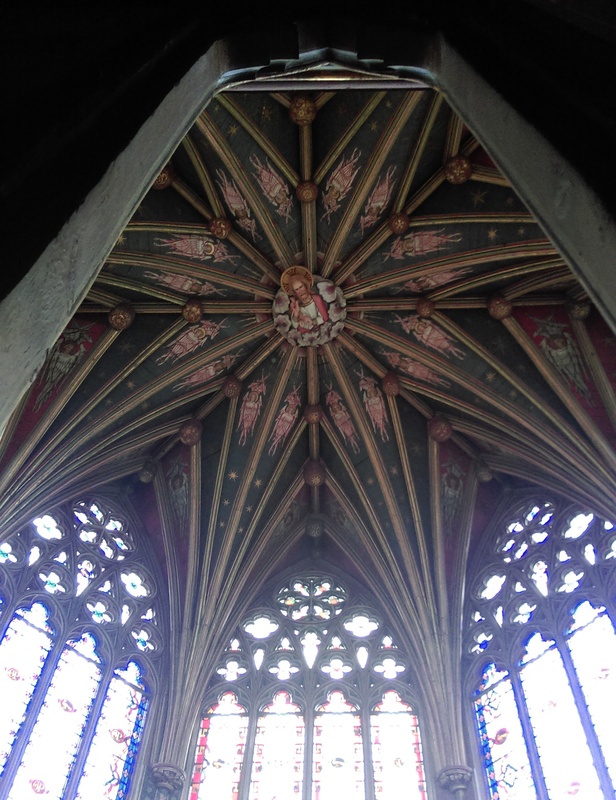 What happened at Ely Cathedral 693 years ago, on Friday 13th February 1322? OK history buffs – you’re right, the central tower fell down. And by pure coincidence, I made my first ever visit to Ely cathedral on the very day of that anniversary – Friday 13th February 2015. Fortunately for me (and everyone else), there was no repeat of the events of 1322, and instead, I had the most marvellous time, exploring the many attractions of this fantastic cathedral – including a trip up to the famous wooden Octagon tower, which was built after the 1322 disaster, and which is now perhaps the cathedral’s crowning glory. 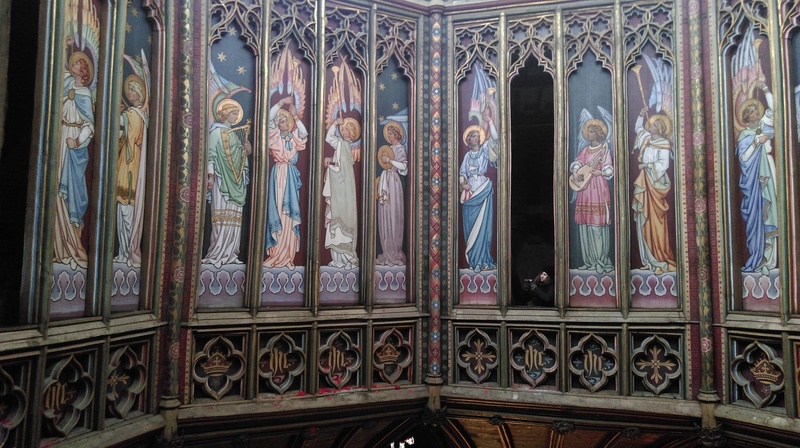 The day was intended to be something of an artists day out, especially a visit to the RSN ecclesiastical embroidery exhibition, but there was much more to set your creative juices flowing. So much so, that by the time I came away, I really felt that I’d been well and truly topped up. Whenever I visit cathedrals, I like to absorb their atmosphere – they vary so much. Ely I decided, was intent on making me smile. From the very start, entering through a small door, inset inside a larger pair, and finding yourself emerging into a breath-takingingly long nave, and then as you move from the austere Norman architecture, into the octagonal centre, I simply defy you not to be overwhelmed by the sheer beauty and magnificence. Then there was the exquisite Lady Chapel, the intricate carved niches standing testament to their brutal treatment during the Reformation, the stained glass windows, drenching you in rich jewel colours, (the cathedral is also home to a superb Stained Glass Museum), the confection of the Gilbert Scot organ case – and on it goes. I loved the way a new wonder unveiled itself at every turn. And of course, the Octagon Tower itself – a medieval wonder in every way. If you’d like to see the photos I took and read a little about the history of Ely Cathedral, then follow the link here to my Ely Cathedral page. But if you have the opportunity – go and see it yourself. I can’t wait to hurry back! Ely is just magnificent. Awe inspiring. I loved it. Hello Stephanie, thank you very much for your comment. I’ve just popped over to your blog(s) and I’m so pleased to have discovered your photographs and writing – I certainly share your attitude to the sacred spaces we have access to – such a wealth of amazing places. And yes, Ely is wonderful – a box of delights that reveals itself as you move around. I was a flower girl in a wedding at Ely Cathedral when I was 4 years old. 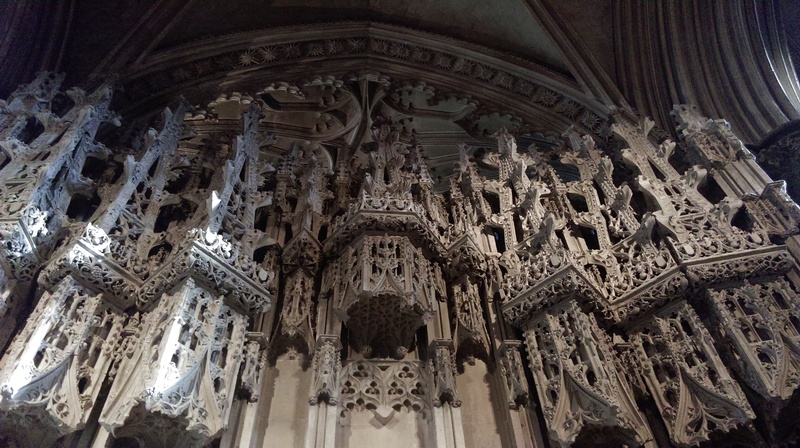 Now at 72, I will never forget the magnificence of the Cathedral, and how tiny I felt.